For the first time ever, entrepreneur, designer, and TV star Kristin Cavallari shares how she juggles all facets of her busy life with style and grace. From outlining health and wellness, food, fitness, fashion, and her success as a businesswoman to more private matters of family, motherhood, and her relationship with her husband, NFL quarterback Jay Cutler, Kristin leaves no stone unturned to give fans of Laguna Beach and The Hills all of the answers they’ve been looking for. Tracing her journey from reality stardom to real life—the good, the bad, and the ugly—Kristin digs down to the most personal of relationships in her life and discusses how they made her who she is today. She also talks about the amazing effects of her healthy diet and exercise, which have made Kristin and her family the happiest and healthiest they’ve ever been. Kristin shares the family’s favorite recipes and even reveals how her food philosophy has drastically improved Jay’s type 1 diabetes. 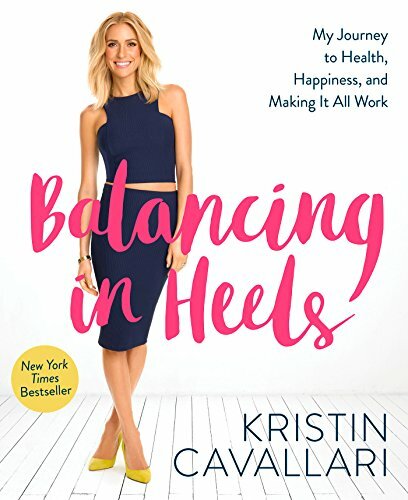 Balancing in Heels is a behind-the-scenes, in-depth look at who the real Kristin Cavallari is—unscripted.